Tibard is delighted to announce a new, fantastic client. The Pure Leisure Group. Established in 1988 as South Lakeland Caravans their business and offering grew with new sites across the country over the years before consolidating as the Pure Leisure Group in 2004. What stands Pure Leisure out from the crowd is the flexibility they offer. 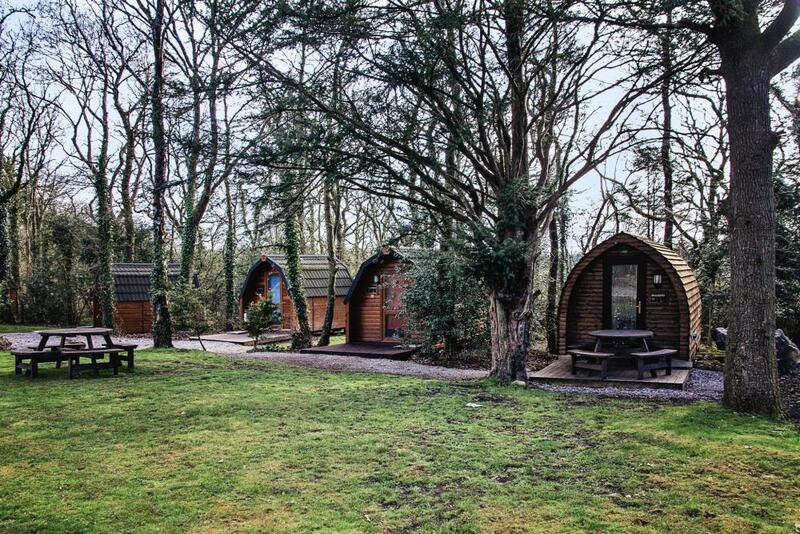 You can use one of their lodges or caravans for a short weekend break or if you fall in love with one of their 10 sites in England you can buy one of their homes and make it your permanent retreat. You can travel around the locality of the parks or simply stay there for the full, all-inclusive experience so often associated with trips abroad. If you’re looking for something a little different this year we’d confidently recommend checking out Pure Leisure’s parks. If you are offering something diverse and comprehensive to your customers you need to make sure your staff and their uniform represents that. We have long provided uniforms for a wide array of holiday destinations such as the Youth Hostel Association and HF Holidays. Despite the complexities of providing numerous different attires to a much wider array of personnel than the traditional hospitality industry, we love receiving these challenges as it allows us to harness every aspect of our business. From garment design to cloud stores, personalisation to customer service, every aspect of our expertise has to be tested in order to deliver the best customer experience possible; so Pure Leisure can do the same. We have had to utilise our entire product catalogue for this assignment. Our first task was their hospitality and catering uniform. This is what we do best! Our Chef and Restaurant and Hotel ranges have been crafted for nearly 40 years using our own garments and those of the best names from across the globe. But with such a diverse spread of employees they have different practical needs and their look must reflect that. Pure Leisure required uniforms for their Reception staff, their lifeguards (a Tibard first! ), their security team and their management. In terms of raw products these ranged from fleeces, polos, shirts and blouses to action trousers and Hi Vis gear. The majority of which needed to be personalised for Pure Leisure’s own branding. But with such a large, multi-faceted client their uniform management system needed to be simple, efficient and user friendly. We had the ready-made solution, Tibard Cloud Stores. For those who don’t know our Cloud Stores are a personal web site which we create for you, where all your products are there with the personalisation, addresses and payment built in so all you have to do is click on what you need and it’ll be there in a few days. We are very proud of this industry leading innovation and are always delighted to create them for new customers who want the full uniform experience. We have crafted cloud stores for their Billing Aquadrome and Tydd St. Giles parks. In conclusion, we are absolutely delighted to partner with Pure Leisure to help them give their customers the best holiday possible. We have clients from across the country but we particularly enjoy supporting other successful businesses from the North West. We think you should check them out if you’re after a ‘staycation’ this year, they have plenty of exciting offers at the moment so you’d be remiss in not having at least a look. And if you’re reading this and think we have a uniform service for you please get in touch.